A Maryland man is in custody for allegedly helping a suspected killer before and after the death of a 3-year-old girl. Brian Ray Campbell, 24, of Landover, was arrested for allegedly giving a gun and a ride to Davon Wallace, Prince George's County police said Thursday. Investigators interviewed Campbell Wednesday. “We’re happy to report to you that we have made an arrest in this case, but it’s obviously bittersweet because we do not yet have Davon Wallace in custody,” Lt. Bill Alexander said. 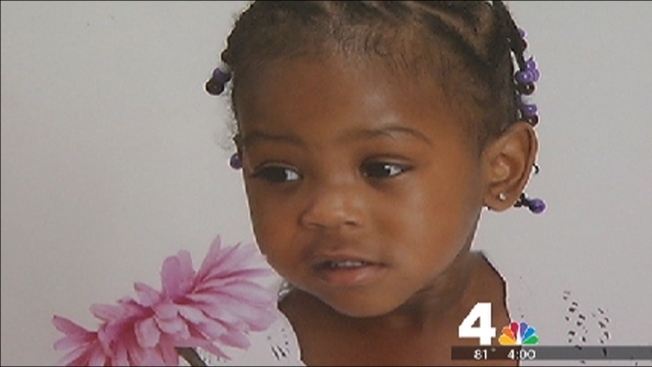 Wallace is suspected of spraying a Landover home with bullets, killing 3-year-old Knijah Bibb over the weekend. The little girl was at the home visiting cousins when she was fatally struck by gunfire in an upstairs bedroom. The mother of a 3-year-old gunned down at her cousin's house in Landover last weekend spoke out to News4's Shomari Stone, begging her daughter's killer to turn himself in. Police vowed earlier in the week that anyone helping Wallace evade authorities would be charged. Campbell is charged with first-degree murder, second-degree murder, manslaughter, accessory before the fact, accessory after the fact and other related charges. He was arrested at police headquarters Wednesday, authorities announced Thursday. He is being held at the Department of Corrections on a no bond status. Bibb's mother has publicly begged Wallace, her daughter's alleged killer, to turn himself in. 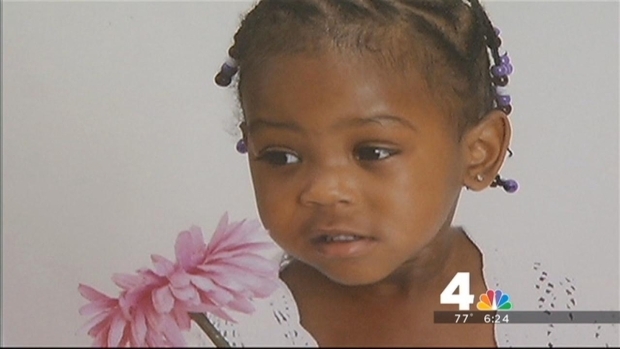 "You took a life that can never be replaced," the little girl's mother told News4. "I found my daughter laying in blood." A manhunt is underway Tuesday evening in Landover, Maryland for Davon A. Wallace who police say shot and killed a 3-year-old girl last weekend. News4's Shomari Stone reports. Police say Wallace (pictured left) had gotten into an argument over clothing at the home, located in the 6900 block of Forest Terrace. He left, but later returned with a gun and fired several shots into that same home, police said. Police said Wallace's intended target, a boy in his late teens, was not inside the home at the time of the shooting. Bibb's death has devastated her family and community. "I hope he burns in hell because he took an innocent child's life," Knijah's grandmother Brenda Bibb said. "She was so loving. Everybody loved her." Anyone with information that could lead to his arrest should call Crime Solvers at 866-411-TIPS or 301-772-4925.